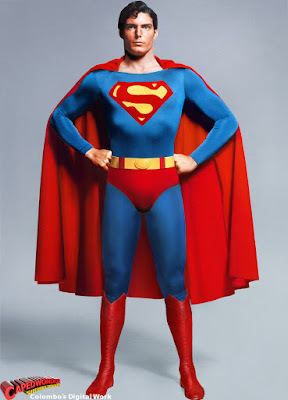 A couple of years ago I wrote a bit of a rant (find it here) about screenwriter Max Landis' fan film about the Death and Return of Superman. I stand by my more general points about internet snark & how tedious it is, but on reflection I think I took the film a little too seriously and was unfair to Landis. I've been following Landis on Twitter and as a Superman fan it's difficult not to admire his genuine passion for the character. It all seems to come from a sincere and uncynical place. He regularly offers fasciniating insights into Superman, and while I don't agree with all of his thoughts on the character they always make me think. If you're Superman fan he's definitely worth a follow. Landis has so far written two Superman stories, an Atomic Skull origin in Action Comics Annual #1 (2012) and a two part Superman/Joker story in Adventures of Superman #40-41. The former was intriguing, if brief, but I didn't enjoy the latter quite so much. I felt it was more of an essay of Landis' own thoughts on the character than a proper story. But to be fair Landis himself admits in an interview publicising the story that his story is "more of a portrait than an actual issue." "This was my first time ever officially writing a character that's very important to me, so I didn't want to just insert myself as an authority. I wanted to play a little bit and see how it felt to put words in his mouth, to put him into action." In November this year Landis' new Superman mini series, American Alien will begin. It's described in the solicitation as "a 7-issue miniseries chronicling the life of Clark Kent and his development into the archetypal hero he will eventually become." 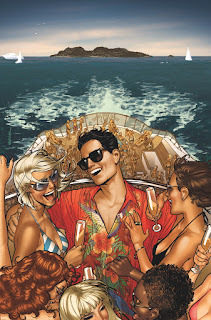 I'm really looking forward to this series, it sounds like a Superman story that we've genuinely never seen before. 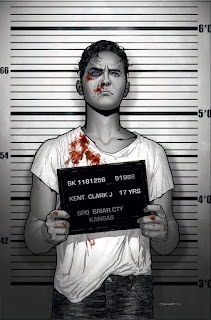 There's some amazing artists working on it (Jock, Francis Manapul, Jae Lee, Tommy Lee Edwards) and if the love for Superman that Landis' displays online is anything to go by, I think this series could be something pretty special. So, I'm sorry Max Landis, I misjudged you. Anyone who loves Superman, and thinks about Superman as much as you clearly do can't be that bad. 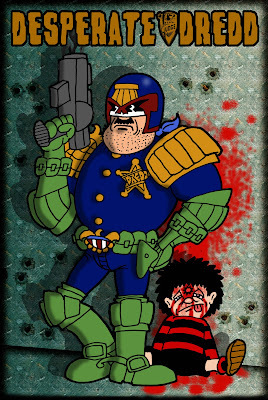 I drew this ages ago and was quite pleased with it, but I don't think I ever shared it on this particular blog. 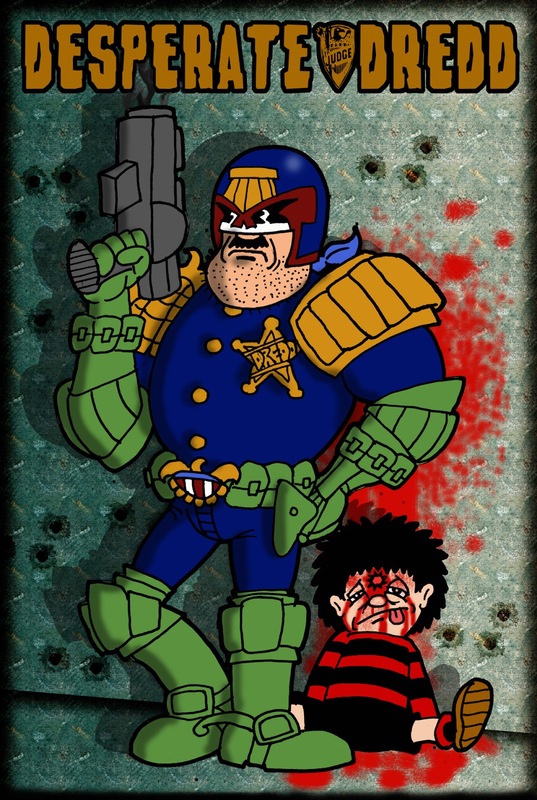 It's The Dandy's Desperate Dan as 2000AD's Judge Dredd. There's some more of my artwork here and here. Some good friends and I occasionally meet up for a film club. We take it in turns to host a screening of a film that's important to us, and beforehand we'll do a little talk about the film and what it means to us. Afterwards we'll discuss it in depth. It's really nerdy and lots fun. 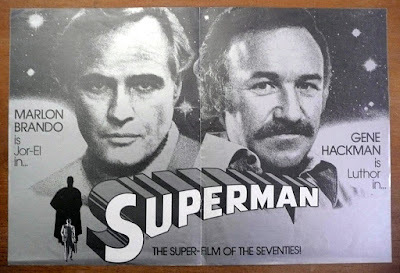 Recently it was my turn, and I of course chose Richard Donner's Superman (1978). Here's the talk I did. 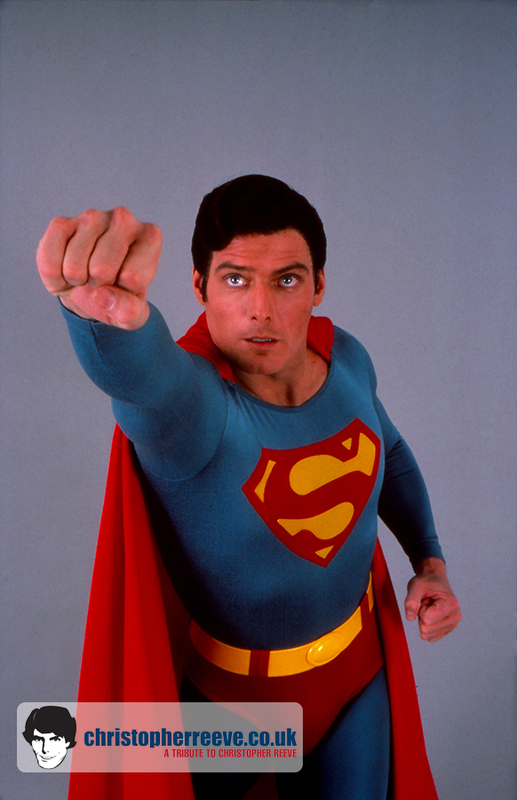 The first thing I’d like to make clear is that the fact that Superman is my favourite film is not a nostalgia thing. As a child I much preferred Batman to Superman, and it’s only as I’ve grown older I’ve come to think of Superman as my favourite superhero. Tim Burton’s Batman (1989) is the superhero film that evokes warm, nostalgic, childhood memories in me. 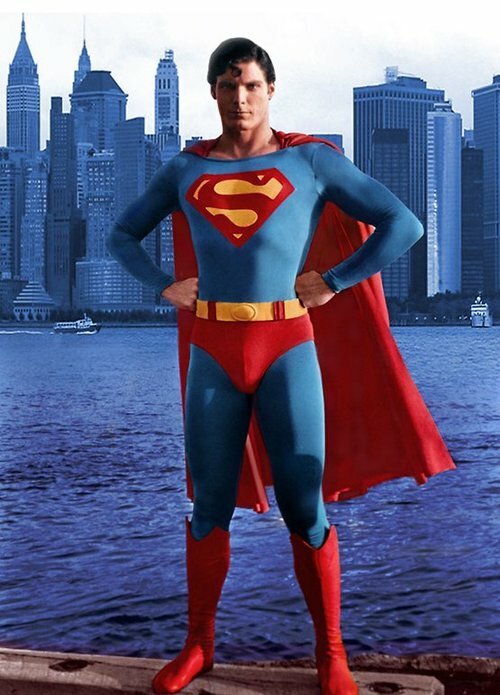 Superman is simply a fantastic, well made film in its own right that I love because it’s so perfect in every way. I can watch it over and over again and it makes me ridiculously happy every time I do so. Richard Donner treats this film as if he’s telling a 20th Century myth that will sit alongside the legends of the Greek or Norse Gods, the Bible, the Mabinogion. John Williams’ iconic music plays a huge part in this, conveying the majesty of the film beautifully and letting you know right from the start that this isn’t some cartoon romp, but an epic adventure! 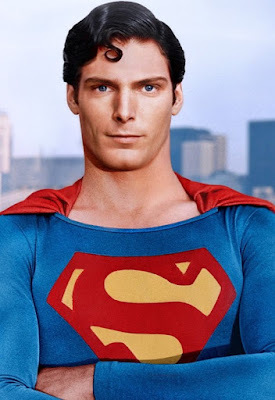 Superman, the character, is so many different things to so many people and this film manages to encapsulate and convey all of that in a way that’s coherent and entertaining. Within the framework of an epic this film manages to move between so many different genres and tones, and it does so effortlessly. 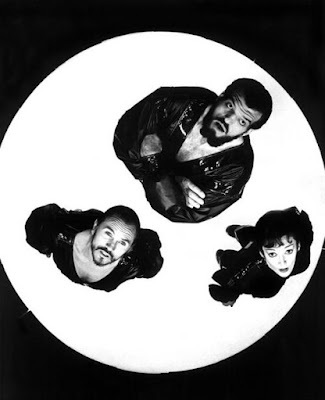 We begin on planet Krypton, as Jor-El (Brando) exiles General Zod (Terrence Stamp) and his cronies to the Phantom Zone. 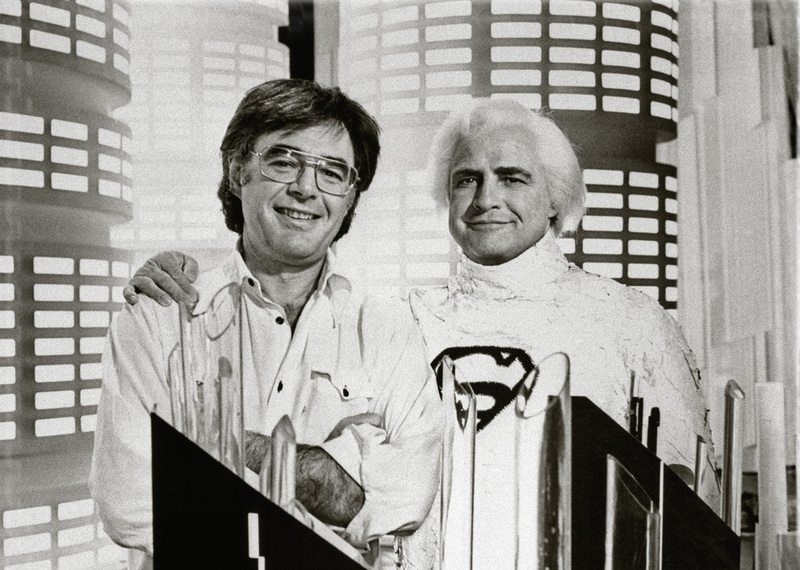 Not only does this scene set up the sequel (filmed back to back with this film) but it serves to establish the shape and tone of Kryptonian culture and Jor-El’s prominent role in it. It also demonstrates that Krypton is a rich, fascinating world with conflicts and dramas and stories of its own, separate from its impending destruction. Everything is taken completely seriously, which helps the audience buy into this world of ice, crystal and glowing tin-foil suits, and helps convey the mythic status of this story right from the start. 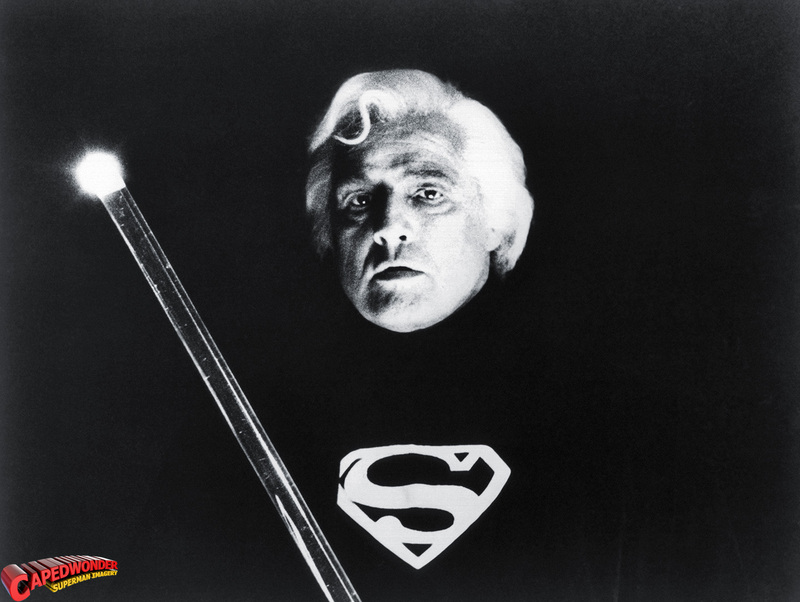 Next comes Jor-El’s unsuccessful attempt to convince the Kryptonian council of Krypton’s impending doom. Look out for Doctor Who’s William Russell as a member of the council. The destruction of Krypton feels huge, which is pretty impressive considering all this was pre-CGI. The shot of all those tiny figures tumbling into redness still looks amazing and really conveys the scale and horror of this catastrophe. During all this Brando is clearly on autopilot, but even Brando on autopilot is still Brando, and his nobility and dignity once again help sell the mythic status of the story. 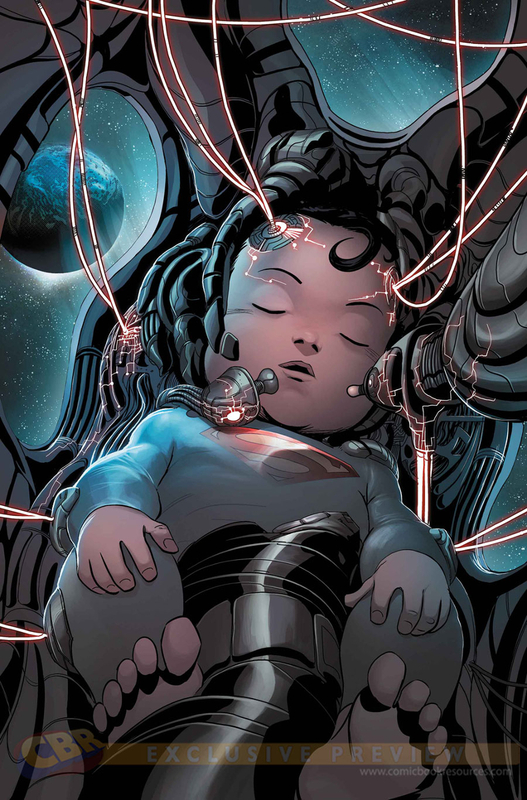 As we see Kal-El grow up on Earth the story transforms into a different kind of myth. 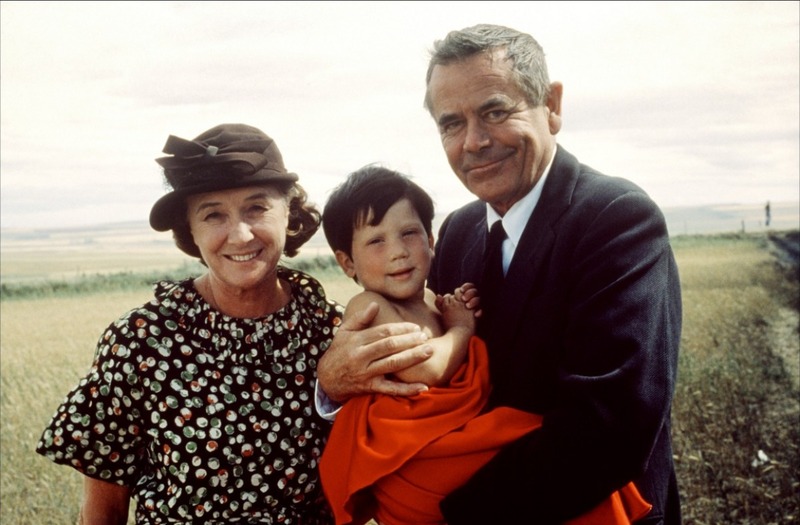 It becomes a piece of Americana, complete with a farm, a dog, cornfields, trains, high school football, rock and roll, and even a star from the Golden Era of Hollywood, Glenn Ford as Jonathan Kent. 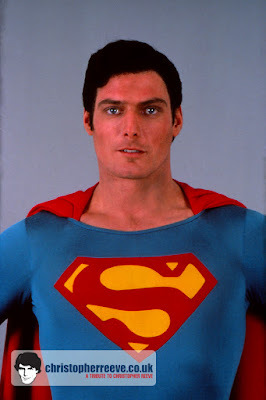 People like to bang on about how Superman “isn’t relatable” but this is the part of the film where he becomes one of us, at least in the eyes of the audience. Not only is he surrounded by recognisable pieces of American folklore (that strike a chord even with non-American audiences raised on such folklore) but he’s a lost, young underdog, looking for his place in the world. A tale as old as time. Who wouldn’t feel a connection with him? Once again everything’s taken very seriously, as if we’re seeing a legend unfold before us. 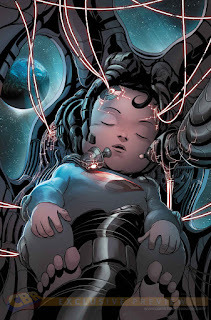 Young Clark eventually finds, or rather creates, the Fortress of Solitude and we see the wonder of Krypton once again, except this time through Clark’s eyes. 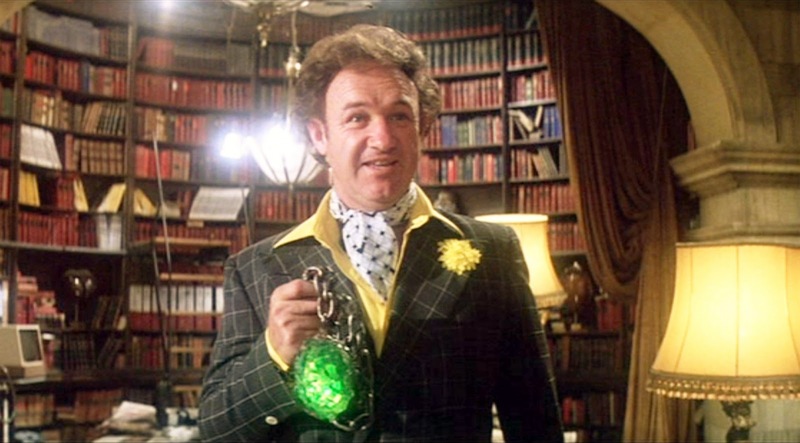 Clark spends 12 years in the Fortress, studying with Jor-El. This is something unique to the movie, but I’ve always wondered why it hasn’t been used in other adaptations. I love the idea that Superman went through this period of isolation and study to prepare him for his mission. 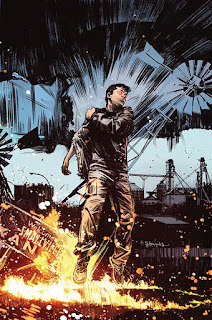 Once again, it emphasises the mythic qualities of the story, and it tells us that perhaps the awkwardness and naivety that will later be displayed by Clark are not completely part of his act. As soon as we get to Metropolis the tone of the film shifts once more. The legend has been firmly established on a solid foundation of serious space-opera and Americana, so now it’s time to have some fun. Ironically the modern day city of Metropolis is the most “comic-booky” part of the film. Gene Hackman’s Lex Luthor is so much fun to watch. Funny, camp, charismatic, witty, and yet when he needs to be, genuinely nasty and cruel. Look at the way he delivers the line “This old diseased maniac would be your banker”. There’s real, cold malice in his delivery. He’s the perfect comic-book villain, complete with a weaponised, secret lair and bumbling henchmen. In Metropolis the story also becomes an epic love story and Lois Lane becomes the character through which the audience views Superman. Margot Kidder’s Lois is one of the most important characters in the film. Her Lois is so human. She smokes, she’s mean to Clark, she misspells words, she changes clothes in the bog before her meeting with the President. Despite, or rather because of her humanity Superman, a godlike figure, falls in love with her, and she with him. It’s an iconic, legendary love story! Lois, whose job as a reporter is to question everything, throws all the cynicism of the audience at Superman and he answers it with a straight face – “I’m sure you don’t really mean that Lois.” Lois is such a real, authentic character, but she believes in this man and so we believe in him too. 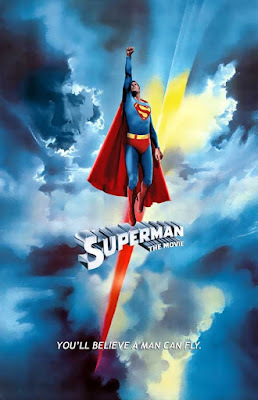 Towards the end of the film Lois plays an integral part in helping Superman to step out of the shadow of Jor-El – “The son becomes the father and the father the son.” Jor-El has emphasised to Superman the necessity of remaining separate from humanity, of not interfering in human destiny. This touches on one of the main contradictions of Superman’s existence. He wants to help but he doesn’t want to hold back humanity, or worse, dominate or control them. This is why Superman wears the costume, and also why he doesn’t fly around overthrowing dictators. He’s not an alien invader; he wants to inspire the best in humanity. Help us to help ourselves. As Jor-El puts it “They can be a great people, Kal-El; they wish to be. They only lack the light to show the way. For this reason above all, their capacity for good, I have sent them you, my only son.” But at the end of the film Superman deliberately disobeys his father; he turns back time to save Lois. This could be seen as a selfish act, but Superman is as much human as he is Kryptonian, he was raised as one of us after all. His actions at the end of the film are the actions of a human. A human man turning Heaven and Earth to save the woman he loves. None of this would work at all if it wasn’t for Christopher Reeve. His amazing performance sells this myth more than anything else. He takes everything completely seriously and conveys the earnestness of the character beautifully. At the same time he’s not completely po-faced and his performance is warm and full of charisma and humour. His transformation between Superman and Clark Kent is amazing. When he takes off his glasses he seems to grow a foot taller. Never mind “You will believe a man can fly”. Thanks to Reeve, you will believe a man can fool the world with a pair of glasses. Superman is often painted as an immature character, particularly when compared to grimmer characters like Batman. But for me Donner’s Superman demonstrates why this is complete twaddle. Batman is a fantasy about punching and frightening the world into being a better place. 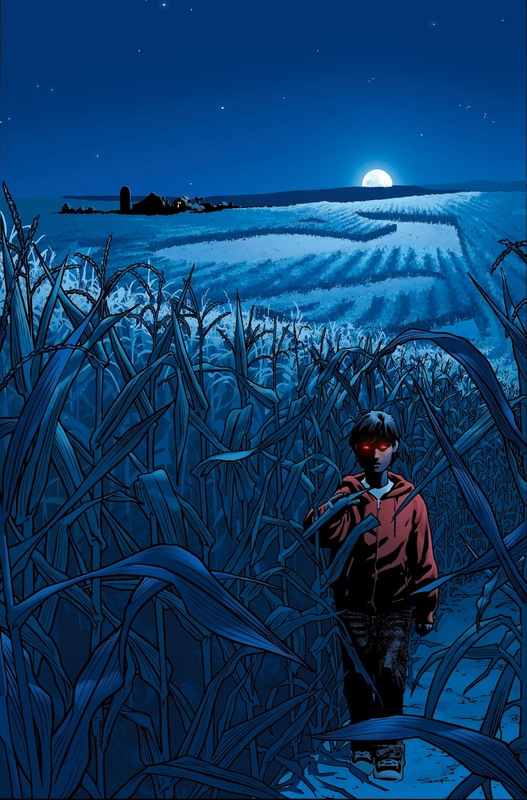 Superman is a fantasy about showing the world a better way. It’s the belief that when given absolute power a man won’t be corrupted by it, but rather he’ll do everything he can to make the world a better place. It’s the belief that maybe we human beings aren’t such a bunch of scumbags after all. That is what Superman is about, and that’s why it’s my favourite film of all time.